Singlemode optical time-domain reflectometer. Wavelength: 1310/1550 nm. Dynamic range: 40/38 dB. 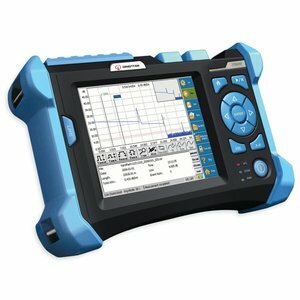 Handheld optical time domain reflectometer with 1310/1550 nm (single-mode) wavelength and 28/26 dB dynamic range. 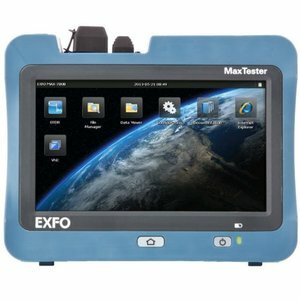 EXFO FTB-1 handheld modular platform with FTB-720-023B OTDR module. Wavelength: 1310/1550 nm. Dynamic range: 36/34 dB. Single port model with the two most common wavelengths of 1310 nm and 1550 nm. 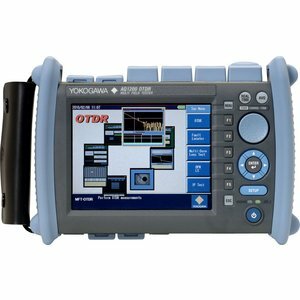 OTDR for single mode and multimode fibers. Wavelength: 850/1300 nm. Dynamic range: 23/21 dB. 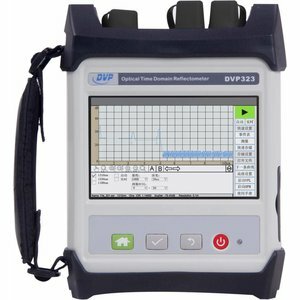 Handheld Optical Time Domain Reflectometer with 1310/1550 nm wavelength (single-mode) and 38/36 dB dynamic range (single-mode). 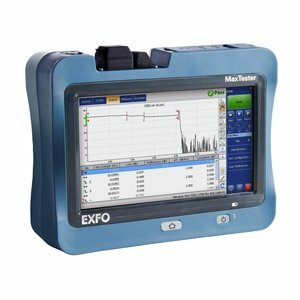 Singlemode/multimode optical time-domain reflectometer. Wavelength: 850/1300 nm. Dynamic range: 19/21 dB. 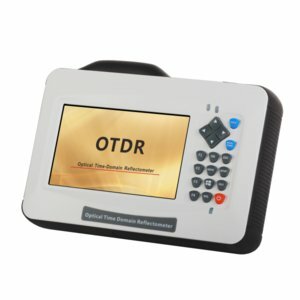 Singlemode/multimode optical time-domain reflectometer. Wavelength: 850/1300/1310/1550 nm. Dynamic range: 19/21/40/38 dB. Singlemode optical time-domain reflectometer. Wavelength: 1310/1550 nm. Dynamic range: 26/24 dB. Singlemode optical time-domain reflectometer. Wavelength: 1310/1550 nm. Dynamic range: 32/30 dB. Singlemode optical time-domain reflectometer. Wavelength: 1310/1550 nm. Dynamic range: 35/33 dB. Singlemode optical time-domain reflectometer. Wavelength: 1310/1550 nm. Dynamic range: 43/41 dB. Singlemode optical time-domain reflectometer. Wavelength: 1310/1550/1625 nm. Dynamic range: 43/41/41 dB. Singlemode optical time-domain reflectometer. Wavelength: 1310/1550/1625 nm. Dynamic range: 40/38/38 dB. Singlemode optical time-domain reflectometer. Wavelength: 1310/1490/1550 nm. Dynamic range: 35/33/33 dB. 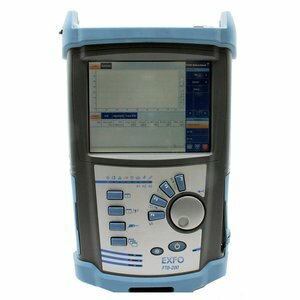 Handheld and lightweight optical time-domain reflectometer (singlemode) for outdoor use. Wavelength: 1310/1550 nm. Dynamic range: 26/24 dB. 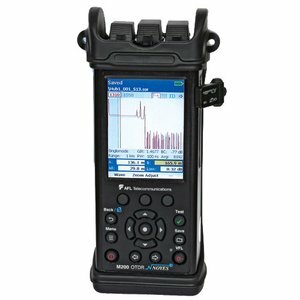 Handheld and lightweight optical time-domain reflectometer (singlemode) for outdoor use. Wavelength: 1310/1550 nm. Dynamic range: 35/33 dB. Wavelength: 1310/1550 nm. Dynamic range: 30/28 dB. 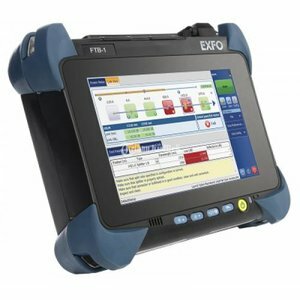 Event dead zone: 1 m. Attenuation dead zone: 4 m.
A powerful compact unit designed to carry out dedicated optical, Ethernet and multi service tests simply and efficiently. Wavelength: 1310/1550 nm. Dynamic range: 39/38 dB. 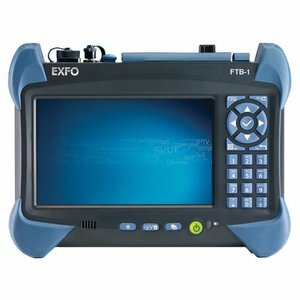 Event dead zone: 0.5 m. Attenuation dead zone: 2.5 m.
EXFO FTB-200 handheld modular platform with FTB-7200D-023B module. Wavelength: 1310/1550 nm. Dynamic range: 36/34 dB. 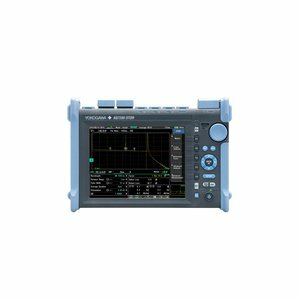 Event dead zone: 1 m. Attenuation dead zone: 4 m.
OTDR that features 5 m-160 km distance range, 5 ns~20 μs pulse width, 1310±20/1550±20 nm wavelength and 34/32 dB dynamic range. 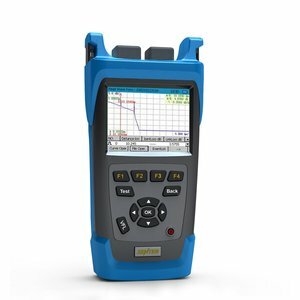 Handheld Optical Time Domain Reflectometer with 1310/1550 nm (single-mode) wavelength and 26 dB (single-mode) dynamic range.